Yangrima School, a successful 'home-grown' non-governmental educational institute established in 1986. By 2001 it was recognized nationally for its academic achievement, sports and music activities. It is situated at an altitude of 2,700m in the Helambu region. Despite its proximity to Kathmandu valley the area feels remote and cut off from the city life. The school is located at an off-grid location and lacks access to grid. 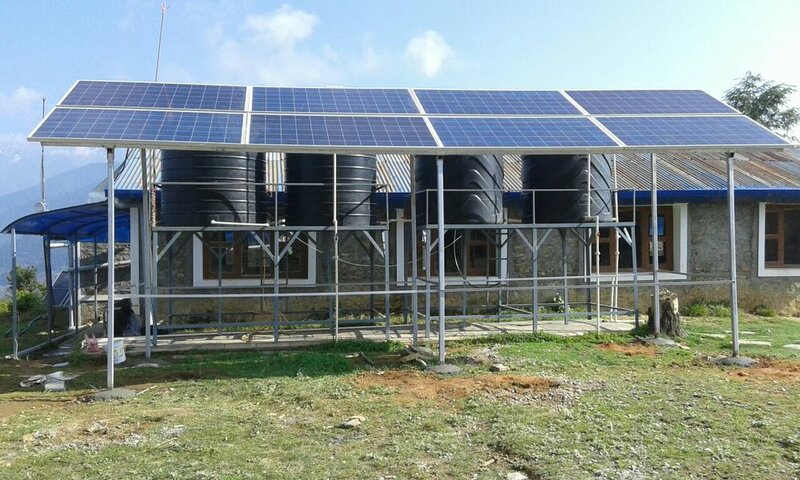 SunFarmer Nepal helped the school to install 2.5 kWp solar system which will provide all the necessary electricity for the functioning of the school. The school has introduced computer science as a compulsory subject and the solar system will help the school to run the computer classes smoothly even in the absence of the grid.